Hot Springs came out on top in the Best Small Mountain Towns poll. 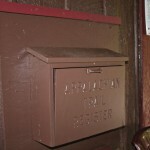 Lover’s Leap: The A.T.’s first trail town holds a special place in the heart of Northbound thru-hikers. Named for the only natural hot spring in the state, the town has long been a destination for those seeking its healing powers. In 1837 Hot Springs reached its zenith as a destination resort when James Patton built the 350-room Warm Springs Hotel on the site of the spring. When that hotel burned 46 years later, another was built in its place, complete with lavish marble-lined tubs, tennis courts and the Southeast’s first organized golf club and 9-hole course. Things were looking up for Hot Springs, until that luxury hotel burned down as well. Following several more hotel burnings and rebuildings, Hot Springs was almost forgotten as a tourist destination and virtually fell off the map. Today, however, Hot Springs is again attracting visitors from all over the United States and beyond, and not just for the 108-degree mineral water. 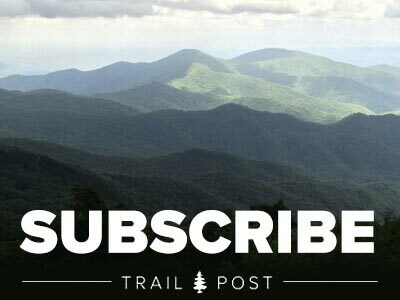 Nestled in the heart of Pisgah National Forest, the town is located at the crossroads of two of the most important outdoor resources in western N.C.: the Appalachian Trail and the French Broad River. “The three pillars of the town are the hot springs and the Hot Springs Campground; the river with the rafting, canoeing, and kayaking; then the trails, the A.T., and all the side trails around here,” explained Wayne Crosby, owner of Bluff Mountain Outfitters. The A.T. literally runs right through downtown: the sidewalk outside Bluff Mountain is marked with white blazes. Hot Springs is the first major town hikers pass through when heading north from Springer Mountain, Ga. This first trail town designation is one reason why thru-hikers have a special place in their heart for Hot Springs: after a humbling 200 miles, that first hot shower can leave quite an impression. When asking locals how they ended up in Hot Springs, more often than not you’ll hear a story that begins with “Well, I thru-hiked the A.T.…” and ends with “…and then I moved back.” This is the story of Crosby, who thru-hiked when he was 19 years old and spent a couple weeks in town painting porches. This is also the path of Sunny Riggs, who hiked the A.T. in 2002 and returned to open ArtiSUN Gallery, a local art boutique and café in the historic Iron Horse Station Inn building. Randy Anderson, more commonly referred to by his trail name “Chuck Norris,” jumped at the chance to relocate to Hot Springs and give back to the town that buoyed his spirits and re-energized his aching legs during his thru-hike. He now manages the newly re-opened Laughing Heart Hostel, which sits a literal stone’s throw from the northern terminus of the A.T. as it comes into town. The hostel hosted over 850 hikers in its first spring, and Anderson says the draw of the town is just as powerful as ever. The small town feeling is definitely hard to escape when visiting Hot Springs, mainly because it only has about 650 permanent residents. The population swells in the spring as northbound thru-hikers come through town, and in the summer when the French Broad, Spring Creek, and Laurel River attract whitewater and tubing enthusiasts from around the South. 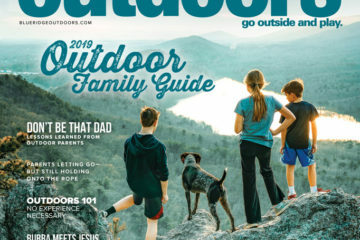 Folks also flock to the town for section hikes like the 20-mile Max Patch to Hot Springs overnight, and day hiking loops connected to the A.T. near town like the Pump Gap Loop and Roundtop Ridge. The French Broad attracts anglers with its smallmouth bass and musky fishing, while the abundant small creeks in the area hold healthy populations of trout. Hot Springs is also gaining a reputation as a romantic weekend and wedding spot. 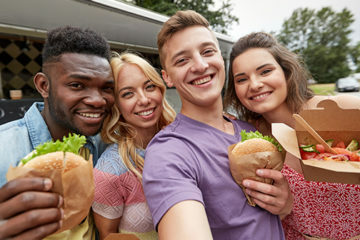 With accommodations ranging from $15 campsites to plush lodges in the several-hundred-a-night category, there is something for everyone right within the town limits. Despite the influx of out-of-towners, the locals have embraced visitors and now designate themselves the ‘Most Welcoming’ town on the A.T. Hikers low on funds frequently trade lodging for yard work at places like Laughing Heart and legendary A.T. hostel Elmer’s Sunnybank Inn, or take part in town-wide Thursday night potluck dinners. The town also hosts several music and outdoor festivals that draw thousands on any given weekend. 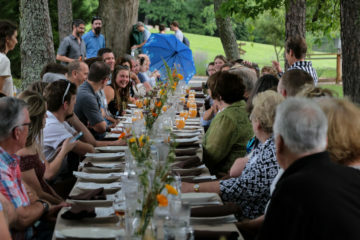 The people of Hot Springs have embraced the town’s new identity as an outdoor destination at the crossroads of the A.T. and the French Broad. But it is the true small town atmosphere that keeps visitors coming back year after year. Best Mountain Towns – Hot Springs from Summit Publishing on Vimeo. Follow the white blazes across the bridge over the French Broad and get on the Lover’s Leap trail for great overlooks of the town and river. Finish with a soak at one of the streamside tubs at the Hot Springs Spa and a bite from Cliff at The Food Shack. Head east out of town to Route 208 and fish the delayed harvest section of Big Laurel Creek. 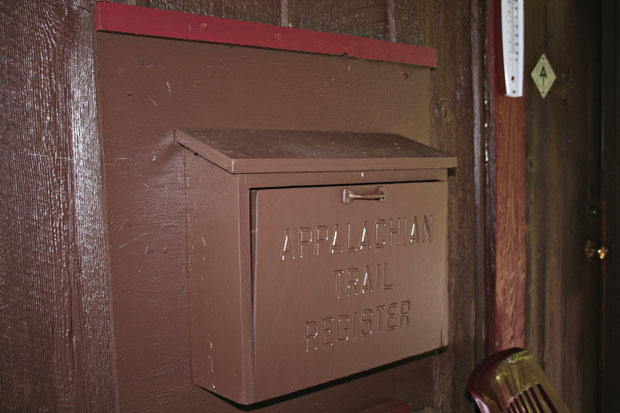 Hike or ride the railroad grade Laurel River Trail to the abandoned mining town of Runion. 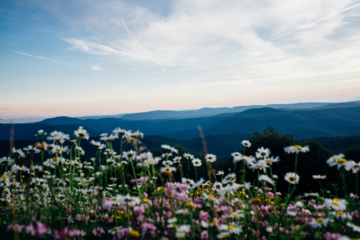 Venture south to one of the most spectacular balds in the southern Appalachians, Max Patch. Grab a raft or kayak and paddle the Class III-IV Section 9 of the French Broad as it comes into town. Trail town: The sidewalk of downtown Hot Springs is marked with the A.T.’s white blazes. 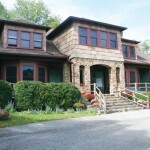 The Laughing Heart Lodge and Hostel is a stone’s throw from the A.T.
Davis is one of those mountain towns with so much going on, it’s hard to wrap your head around it, but this quaint West Virginia hamlet is best known for its world-class mountain biking. Ride out from town and in two minutes you can be on bomber singletrack like the rugged Plantation Trail or the appropriately named Moon Rocks. The opposite side of town features the trails of Blackwater State Park and the Dobbin House system and a great view of Blackwater Canyon. Literally everywhere you look there is a mountain bike trail, so stop by Blackwater Bicycles for all the beta before heading out. The Blackwater River and its tributaries are stocked with trout, so bring your rod in the spring and fall. In winter, hit the slopes at Canaan Valley or Timberline for alpine and White Grass for miles of backcountry cross-country skiing. No visit to Davis would be complete without resting those quads at Hellbenders with a Mountain State brew and a burrito as big as your face. The locals are very friendly so don’t be afraid to chat them up at the bar. Lewisburg is the cultural center of West Virginia. Just a few miles from the Virginia/West Virginia border, it’s home to one of only four Carnegie Halls in the world. Its entire downtown is designated a National Register Historic District, so stepping into Lewisburg is like stepping back in time. 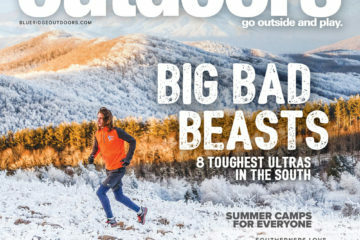 It’s also fast becoming the outdoor center of West Virginia. 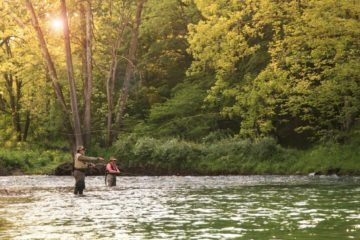 The Greenbrier River flows just east of town and is a beautiful smallmouth bass fishery, and its tributaries run cold and clear, holding wild brook trout. 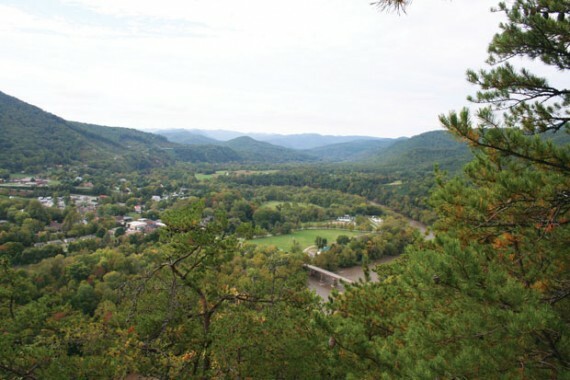 From Lewisburg, you can easily hop on the 78-mile Greenbrier River trail or hike one of the many trails in nearby Greenbrier State Forest. Not into roughing it? 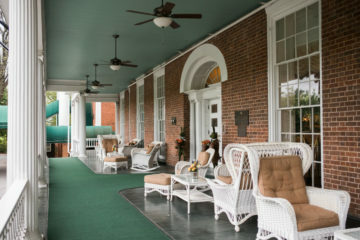 Just down the road in White Sulphur Springs is the Greenbrier Resort, a luxury resort tailored to outdoor-minded folks. The gateway to Pisgah, Brevard is the capital of mountain biking in the Blue Ridge. Dupont Forest is just down the road, and hikers, trail runners, and anglers flock to the Davidson River. 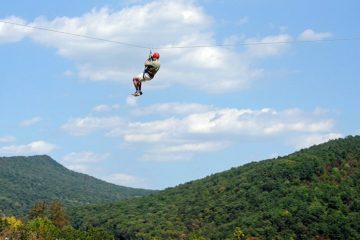 Surrounded by Shenandoah National Park, this valley town famous for its caverns has fishing and canoeing on the Shenandoah River to the west and cycling on Skyline Drive to the east. 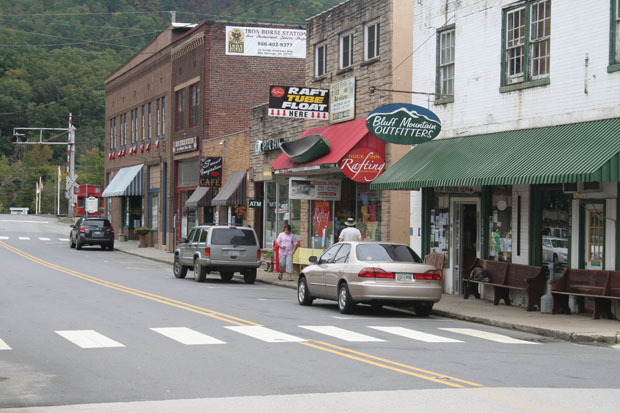 Trail Town, USA is at the crossroads of the A.T., Virginia Creeper, and Iron Mountain Trails. One of Virginia’s best trout streams, Whitetop Laurel, and Mount Rogers are right outside town. 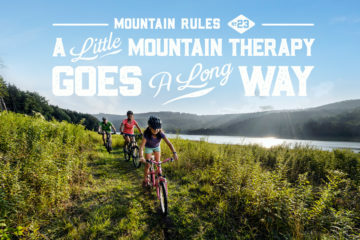 Tubing on Deep Creek, biking at Tsali, hiking in Great Smoky Mountains National Park, running the Nantahala—what more could you ask for in a mountain town? There is more to this town than just anchoring one side of the New River Bridge. This funky paddling town bordering the New River is also the gateway to the new Arrowhead Trail System, a boy scout built mountain bike mecca. Blairsville is the closest town to the state’s highest point, and toughest cycling climb, Brasstown Bald, while Nottely Lake provides endless open water recreation opportunities. 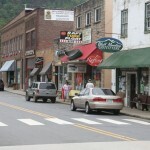 A gem of north Georgia, the Trout Capital of Georgia is surrounded by the Chattahoochee National Forest and is on the banks of the Toccoa River and Lake Blue Ridge. The Cohutta Wilderness is the largest in the East. 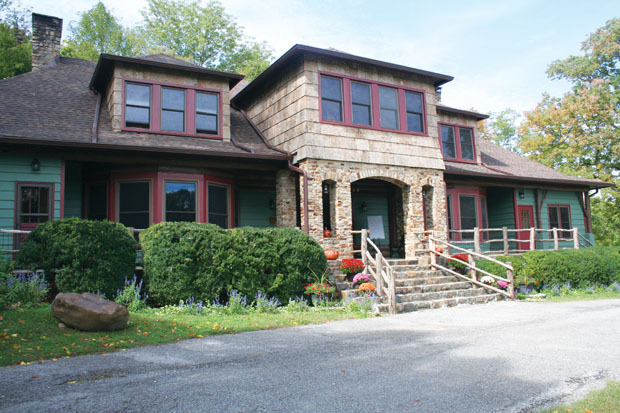 Double dip with these twin towns inside Nantahala National Forest. Panthertown Valley, Whiteside Mountain and the Cullasaja River await your visit. 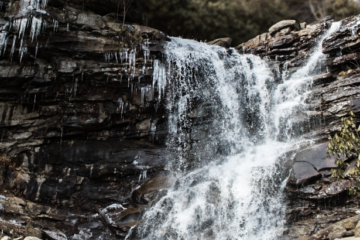 What Ohiopyle lacks in population (60 people), it makes up with some of the best whitewater in the U.S. on the Youghiogheny River and hiking in Ohiopyle State Park. Cherokee has some of the best trout fishing in N.C. and is the southern gateway of the Blue Ridge Parkway. Nestled beside Great Smoky Mountains National Park, it’s an ideal hiking and backpacking trailhead. 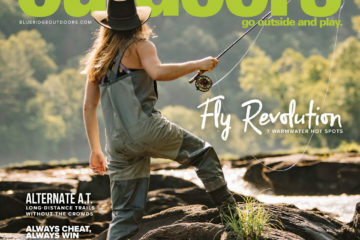 Flanked by Jefferson National Forest, Pembroke is the take out for one of the most scenic sections of the New River—and also one of the most idyllic fishing spots, with abundant smallmouth and musky. Just west of Asheville, Waynesville has great access to Great Smoky Mountains National Park and more rivers than you could fish. Seems all roads lead to this town smack in the middle of Nantahala National Forest, which is great for cycling or taking in the vast amount of area waterfalls like Bridal Veil. With the Smokies just north and the Tuckasegee River flowing just to the west, Sylva is a fly fisherman’s nirvana. This gateway to Chattahoochee National Forest is quickly gaining a mountain biking reputation and is also close to A.T. terminus Springer Mountain. Bad Branch Gorge and Breaks Interstate Park are both within easy driving distance of this art community. Next ArticleA National Park for Maine?